The owners of Yorkshire Meatball Co. The founders of the UK’s first speciality meatball and craft beer bar and restaurant, The Yorkshire Meatball Co say they are delighted to have successfully reached their £100,000 crowdfunding target. The Yorkshire Meatball Co., which has restaurants in Harrogate and York, launched its crowdfunding campaign, via Crowdcube, at the beginning of March. The company managed to hit the proposed target with three days left to go on the campaign, with the final closing figure reaching a total of £130,650. The aim of the crowdfunding was to support David and Gareth Atkinson, the co-owners, in diversifying the business’ current offer. Gareth Atkinson said: “It means the world to us that so many of our loyal customers have invested out of their own savings. "It’s humbling to see our regulars from across the region, and others who have visited us from further afield, so keen to support our campaign and our future plans for the business. " David Atkinson said: “First of all we would like to say thank you to all those who invested in our campaign. It’s a great feeling to have achieved our funding target of £100,000 and it’s fantastic that we managed to generate further investment on top of this. 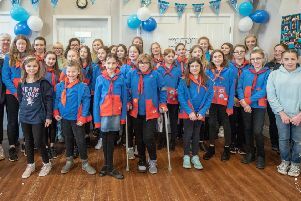 “There has been a range of investments pledged throughout the campaign; the average investment has been over £550, with half of the total investment drawn from pledges of £5,000 or above. " Their three-year plan includes the launch of a range of premium-branded retail products in supermarkets across the country; to further expand the original Harrogate restaurant,on Station Parade bridge adding an outside beer terrace and a bottle shop; and, in addition, adding a further two restaurants to its portfolio. In order to achieve the funding target, David and Gareth offered investors a range of rewards, from vouchers for the restaurants, discounted meal offers, to exclusive investor events. With over 235 separate investments pledged, the campaign by the Yorkshire based restaurant and retail company proved a popular choice with Crowdcube investors, with investments ranging from £10 - £10,000. Loyal customers of the current meatball and craft beer restaurants have also shown their support for the brand, with around one third of the final total investment generated from customers based in North Yorkshire and beyond.